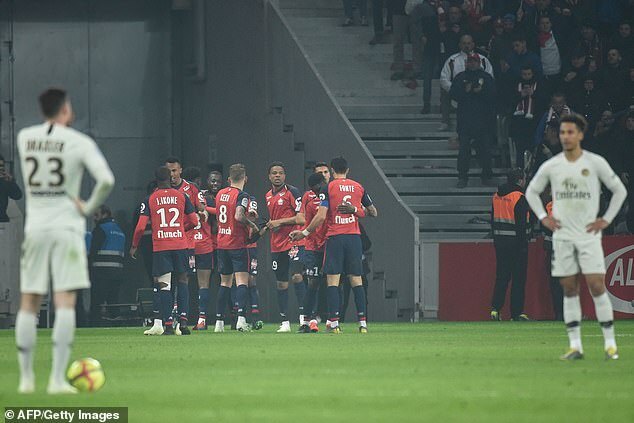 The French champions were reduced to 10 men after Juan Bernat had cancelled out Thomas Meunier’s early own goal. They went on to concede four times in the second half for their heaviest league defeat under their Qatari owners. Qatar Sports Investment have invested more than €1billion (£860million) on players since they took control in 2011. 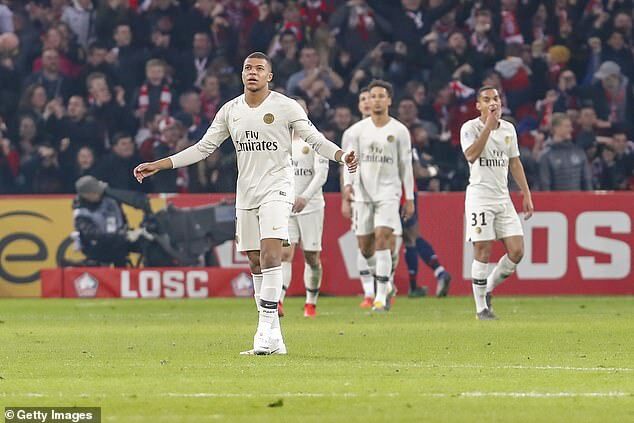 ‘It was a box-to-box game, some moments we were in control, some moments we were not,’ France forward Mbappe, who had two goals disallowed before Bernat was sent off in the 36th minute, told Canal Plus. PSG will be crowned champions on Wednesday if they win at Nantes. They have 81 points after 31 games to second-placed Lille’s 64 after 32 matches. 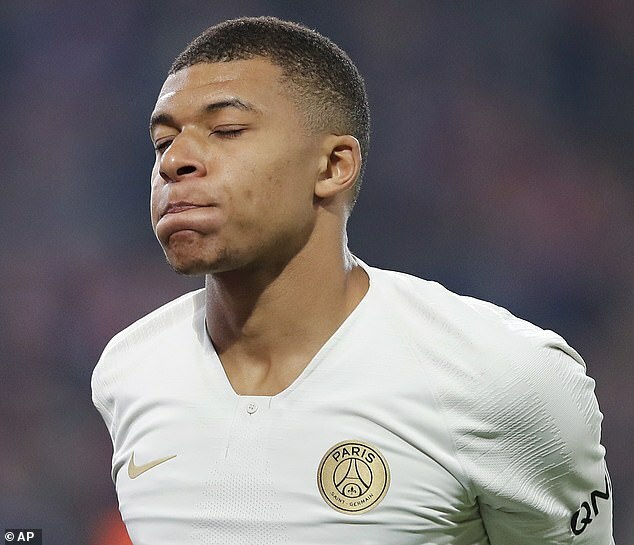 ‘We’re going to be champions but we cannot lose like this,’ the 20-year-old Mbappe added. 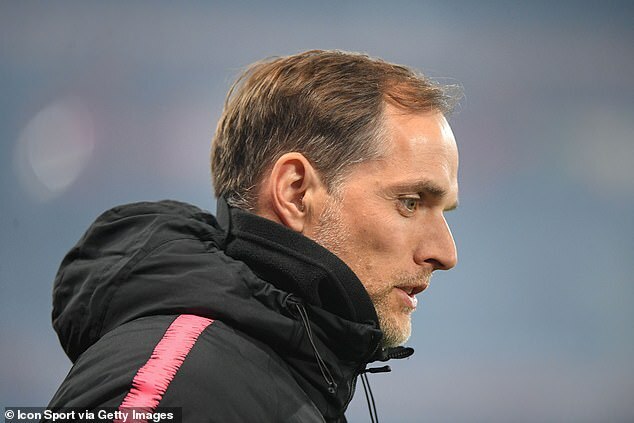 Coach Thomas Tuchel did not share the player’s point of view, pointing out that PSG only had 15 players available for the match. ‘It’s not possible, even Thilo Kehrer who came on for Thiago Silva was ill today,’ the German said. ‘I don’t even know how many players I can take to Nantes.